Critically acclaimed chef Alain Allegretti and LDV Hospitality bring Mediterranean coastal cuisine to Revel. 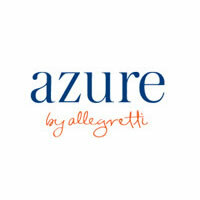 Azure by Allegretti is an approachable and energetic seafood restaurant that captures the sun-kissed glamour of the Riviera, part Capri cuisine, part Saint Tropez soiree. Chef Allegretti offers exceptional seafood utilizing seasonal ingredients sourced from local waters and farms. The beauty of the vibrant dining room is rivaled only by the excitement of the exhibition kitchen, where diners can watch the chefs at work. Guests will come in for a glass of Rosé and stay for a delicious and vivacious night out while indulging in the spirit of Azure. Of Note: Azure’s extensive wine list, on-point service and ocean views from their beautiful dining room make this Atlantic City gem perfect for a date night.